Suanne was born in Springfield. She graduated from Ursuline Academy, Springfield College in Illinois and Southern Illinois University Carbondale, and attended Illinois College and Sangamon State University as well. Suanne is a member of Cathedral of the Immaculate Conception Catholic Church. Other memberships include Cathedral Council of Catholic Women, Kiwanis Club of Chatham and Kiwanis Hixson Fellow. Suanne married Paul Palazzolo in 1989 and they have two children, Maria and Anthony. 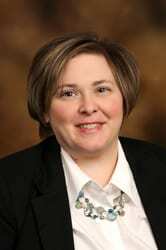 Suanne joined the Staab Family team in 1983 and became a funeral director in 1989.